A man holds a conversation next to a gate that will swing closed to block vehicle traffic across the Progreso-Nuevo Progreso International Bridge Wednesday, Oct. 31, 2018, in Progreso. McALLEN — The Progreso-Nuevo Progreso International Bridge is open for business. Ramirez made the announcement Wednesday, a day after workers were seen installing additional gates and fences along the bridge’s walkway and car lane on the U.S. side, and two days after the announcement that an additional 5,200 troops would be accompanying the already more than 2,000 National Guard members positioned on the U.S.-Mexico border. As many as 1,800 of those could be deployed along South Texas border. Locations identified to serve as Base Support Installations, or BSI, near ports of entry include: the Naval Operations Support Center in Harlingen, Fort Bliss at Lackland Air Force Base, and the Naval Air Stations in Kingsville and Corpus Christi. This comes on the heels of President Donald Trump saying Wednesday that as many as 15,000 troops may be stationed at the border. Ramirez made the decision to install the additional barriers as a preventive measure after a meeting about with U.S. Customs and Border Protection officials and other important stakeholders. This came amid the Central American caravan heading for the U.S.-Mexico border. “ We had a discussion with CBP; it was an agreement from the stakeholders and the agency that we would be putting up this fence,” Ramirez said. Ramirez likened the installation of the gates to preparation for a natural disaster, like a hurricane. She said the Progreso bridge continues to be a heavy traffic area, saying just this Saturday more than 5,000 pedestrians used the bridge, with numbers through Monday and Tuesday ranging between 1,500 and 2,000 pedestrians, and that people should feel safe using the bridge. She added that to her knowledge, the only time the bridge was closed was nearly 55 years ago, when President John F. Kennedy was assassinated in 1963. 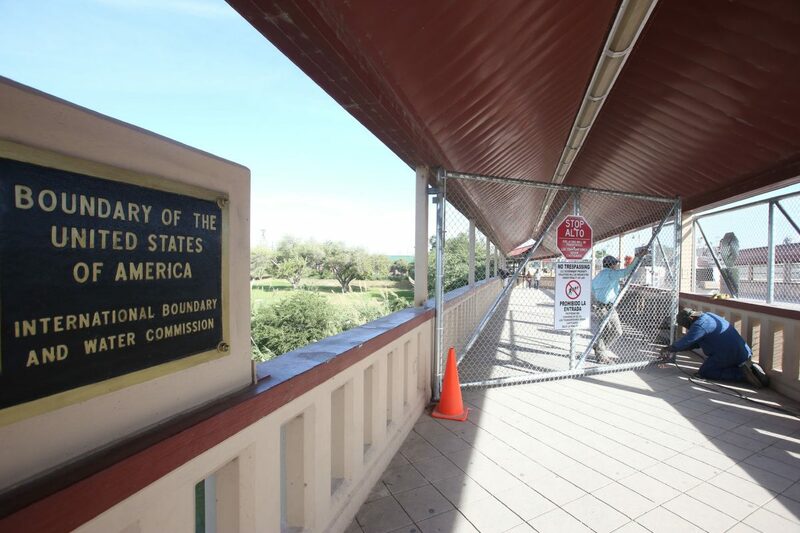 As for the other bridges, including the Hidalgo-Reynosa International Bridge, there are currently no plans to install gates or fencing, according to McAllen city officials. McAllen City Manager Roel “Roy” Rodriguez said Wednesday that fencing barriers will not be erected on the walkways at the popular pedestrian crossing. Rodriguez said he has also not been notified of any military presence heading to the bridge. While the bridge is in Hidalgo, McAllen is the primary operator of the crossing, as well as the Anzalduas International Bridge in Mission. Hidalgo, Mission and McAllen share decision-making responsibilities for the bridges, but McAllen is the primary operator. Rigo Villarreal, the superintendent of bridges, and his deputies are on the city of McAllen payroll. Only vehicles can cross the Anzalduas bridge, not pedestrians. Similarly, the Pharr-Reynosa and Donna-Rio Bravo international bridges are exclusive for vehicle crossings. At the Roma Port of Entry/Falcon Dam, an official who identified herself as Chief Elsa Martinez, said there were no plans to put up any additional gates or fencing, and said the officers at that port were working on “operational readiness,” which she said means the officers have been made aware of caravan’s journey. Martinez then referred all other questions to CBP officials. Sam Vale, the president of the Starr-Camargo Bridge Company, said no additional gates, fences or barriers not already in place would be added there or in Los Ebanos, at the hand-pulled ferry. He said any kind of shutdown of the border would come from CBP, and that personnel are prepared for any type of emergency that may arise as it relates to an influx of people at the ports. Vale said he’s confident in CBP’s ability to manage an emergency on the bridge, as he’s personally seen the exercises performed by CBP officers in anticipation of an emergency situation. 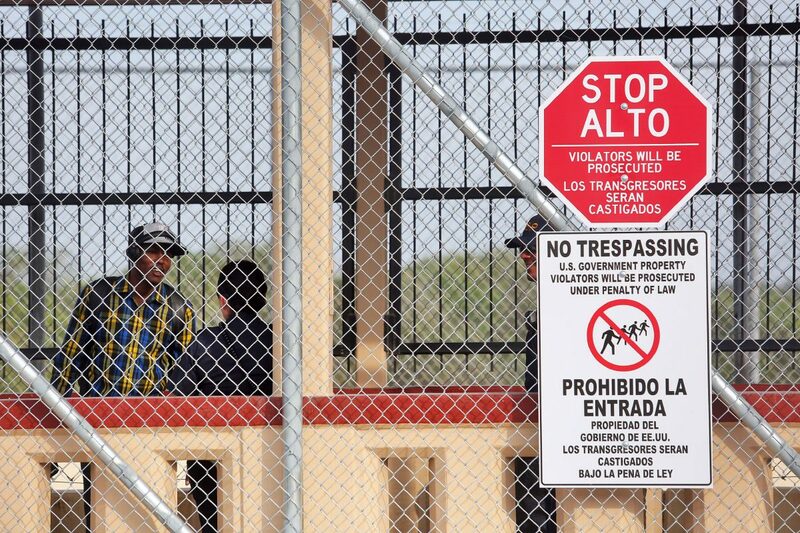 He added that if CBP needed to block the port, they have protocols in place to do so quickly and effectively. Vale said people using the ports should not be worried about a shutdown. Staff reporters Mitchell Ferman and Berenice Garcia contributed to this report.